Valet Parking available nightly... complimentary Sunday to Thursday! Can Company Parking Garage (2400 Boston Street) available after 5 pm for free Parking daily. We Cater Parties and Business Lunches/Events providing Salads, Appetizers, Pizzas, Panini, deserts and beverages including wine & beer off of our menu selection as well as custom items. Please call for details and ask for Ed or Marianne. 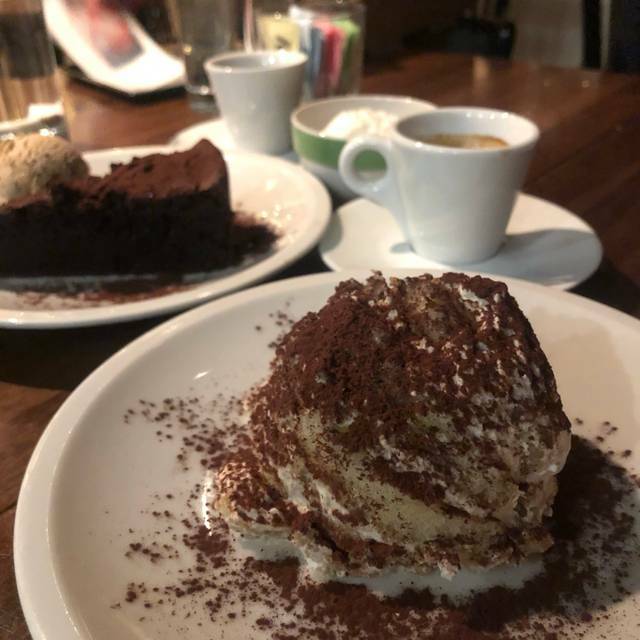 From an extensive list of authentic Neapolitan wood-fired pizzas, to fresh salads & homemade desserts, Verde brings the traditional flavors of Italy to the Canton neighborhood of Baltimore City. 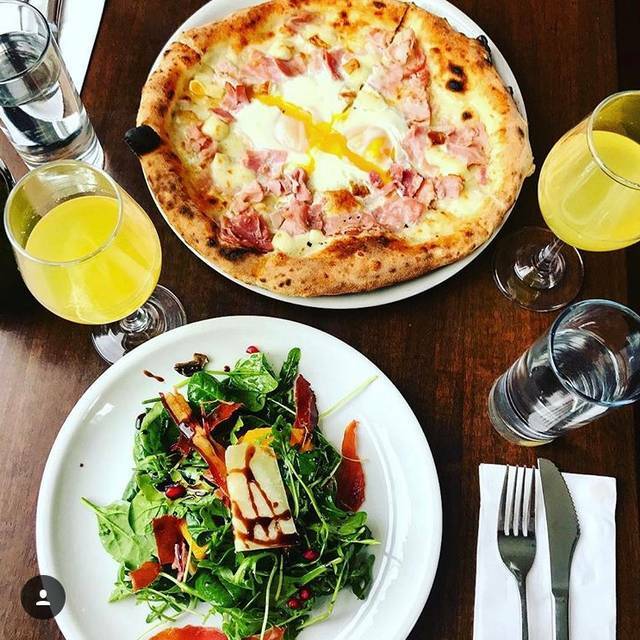 The restaurant also offers an assortment of local beers & imported Italian craft beers, a list of hand-selected domestic & Italian wines and an awarding winning cocktail program. Not only is the pizza delicious but the service was really great. 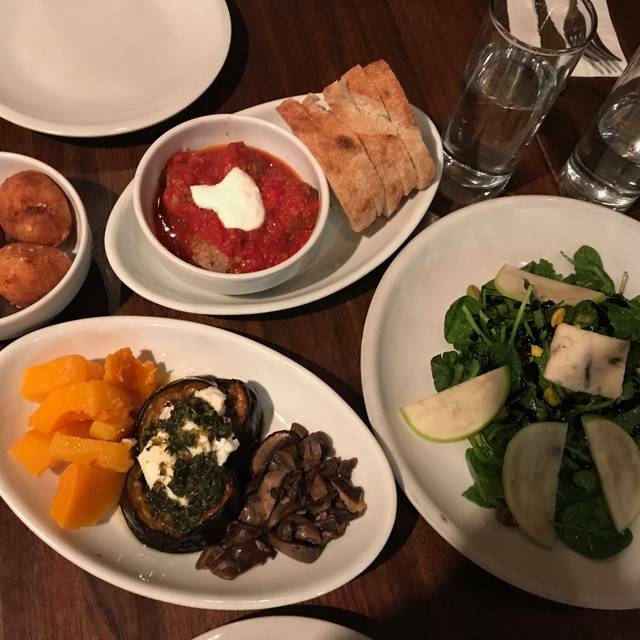 I've enjoyed Verde for both dates and family dinners and have never been disappointed. Service and food were both great!!! Only downside is how hot it is inside. I’ve been a couple time and this is always an issue. I don’t think the AC is ever turned on. The food and atmosphere was great as always! Our server was wonderful, even with the restaurant getting extremely busy in a very short period of time after we were seated. 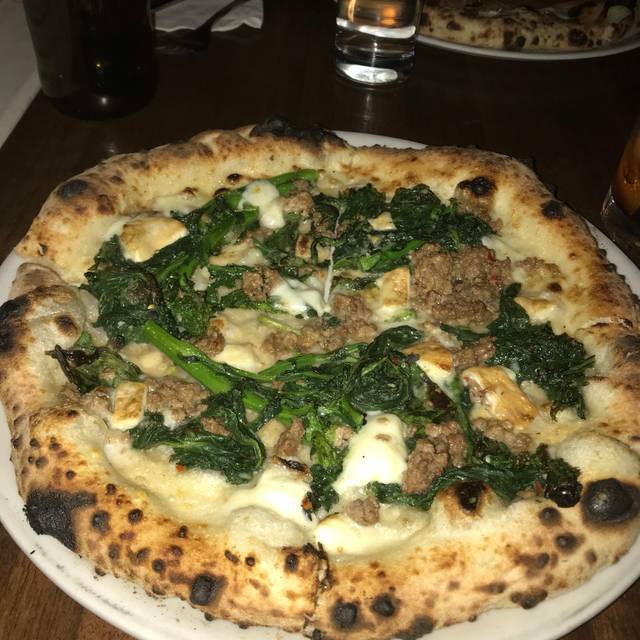 Verde had amazing ambiance and great pizza! Our server was very informative and nice but it was very busy and he was stretched thin. 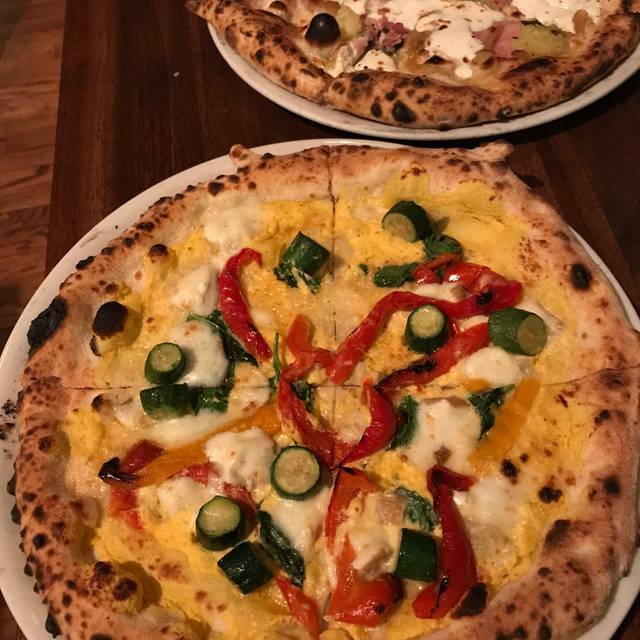 It was our first visit and we'll definitely be back to try more pizzas and see which one is our favorite! The waitstaff was excellent, even handling special requests. The food was really nice. The seating on the sidewalk was fun. I would 100% go back. 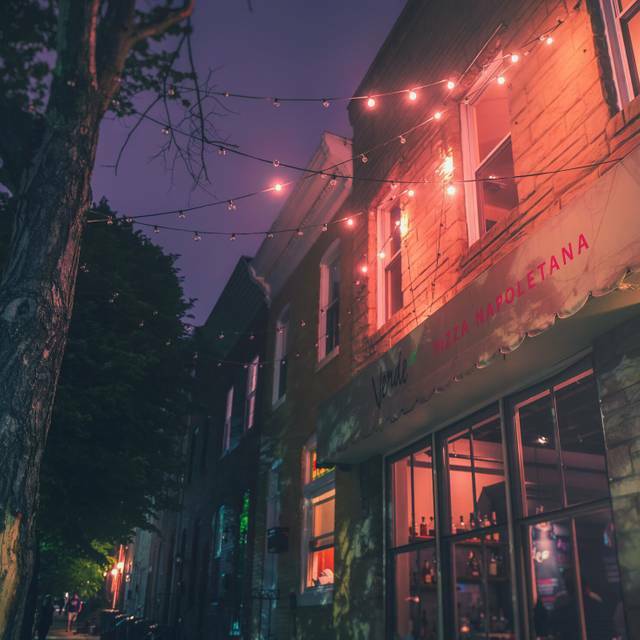 Nice food, nice people, nice neighborhood, good value. Wonderful staff and bartenders. Great cocktails and great food. This was to check out the place when in the mood for pizza...but it was so much more! Our server, Lyric, was personable and knowledgeable. We spent time with Ed Bosco who co-owns with his wife and laughed so much with him! Order the burrata to start...amazing! Rustic salad and Margherita pizza were equally stunning, fresh and delish. Plan on becoming regulars!! We love going to verde Monday nights for half price pizza but the tables are SO close together that it’s awkward and uncomfortable to have conversation with whoever you’re dining with because you’re basically in another strangers conversation. Besides that we love everything! There’s a lot of good stuff here,but at least this time,nothing great,which I kind of wanted given the price. Great pizza with a nearly perfect Neopolitan crust and flavor. Some pizzas were better than others, the margharita was very good as was the one with prosciutto de Parma. We went with a large group and were seated by the door which was terrible as it was a cold night. Our sever was good but a few minor things like silverware and plates and drink orders were issues throughout the night. Overall, good food and service though the pizzas were dubbed “most expensive in Baltimore” by our entire group. Always a great dinner experience. Staff is so professional and quick to your table. Wonderful service from Lyric! 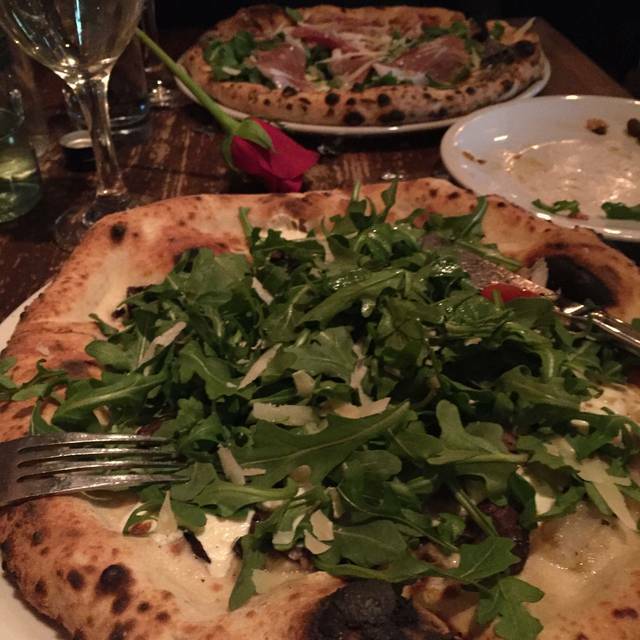 Pizza and salads are fantastic! Best pizza! Ingredienti di qualità! Great pizza and cocktails as always. The crust on the pizza is so good, the staff is friendly and helpful. Can't wait to return and try all the pizza options on the menu. Amazing experience and great pizza! Get the pistachio!!!! Evan was very informative and knew so much about the story behind Verde! Always a good dining experience. Tasty food. Good drinks. Friendly staff. Great place, great food. Tight space though, so tends to be loud when crowded. Went as a late Valentine’s Day date. As always, service was very warm and welcoming, and all the food was fresh and amazing. They got really busy as we were finishing up, so took a little while to get our check, but understandable, such a popular place! The service was personable! Our sever made personal recommendations for both wine and food that were incredibly on-point. Our orders came out quickly, correctly, and fresh. My girlfriend was also a huge fan of the background music selection. Great experience! Everything was great. 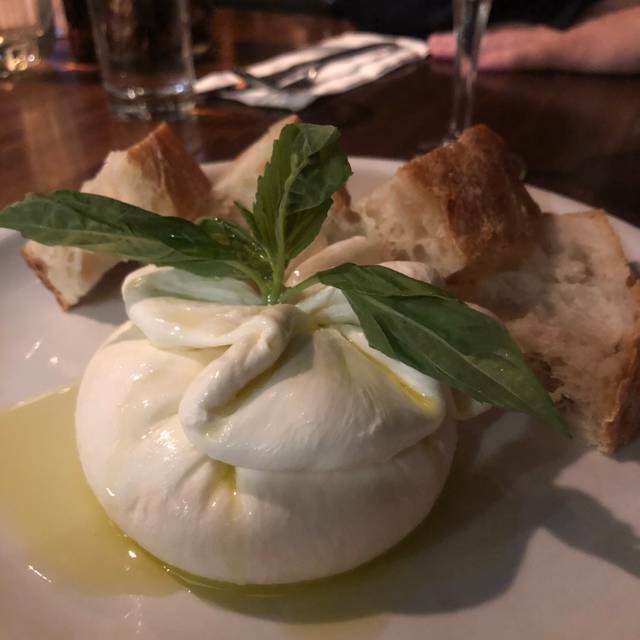 The burrata was excellent. So were the arancini, and the Tartufo pizza. Always enjoy eating at Verde! This remains one of my favorite restaurants in Baltimore. Pizza is best anywhere and gluten free if you wish! Service is excellent and not hovering. Space allows for private conversation as well. I’ll be back again and again. The best pizza in the city (if you like thin crust)! 2nd time there, food and service are fantastic. Enjoyed restaurant week specials. Best pizza in Canton. One of my favorite social spots. Dinner was delicious and the server was exuberantly wonderful! But the window seat was drafty (brrrr). Valet parking is not free, but at $7, was worth it on a busy and cold Saturday having already taken 2 circles around the neighborhood looking for street parking. I saw on the bar chalkboard that Mondays are 1/2 price pizzas. I definitely plan to check that out with some of my more budget-conscious friends. It would seem to be an incredible value for the dining experience. Great food and service! Our waiter was awesome, even with a packed restaurant. Thank you! Service was just okay (on a Friday night with moderate occupation). Tables were too close to each other. I was basically sitting at the same table with people I did not know. Some privacy is expected! I ordered the grilled vegetables antipasto, it was cold and forgettable. The pizza was fine. Nothing to recommend. This is a small neighborhood pizza shop. Definitely over priced. I would not go out of my way to come here. Delicious! We went here for restaurant week and it was amazing. We WILL be going back! We sat at the bar, which has a great vibe. I always order the pesti appetizer. The flourless chocolate cake was also delicious. Love this place. This was the first time I didn't sit at the bar... And I do wish I had sat at the bar. The tables are so close together in the dining area you're constantly shifting your seat and moving in and out so the wait staff can get past you. Plus, I missed the great conversation with the bartenders. Verde is always wonderful with a stellar restaurant week menu. Lyric took amazing care of us! The food was good and service was good. But apple crisp should be served warm with the option of ice cream. Love Verde. 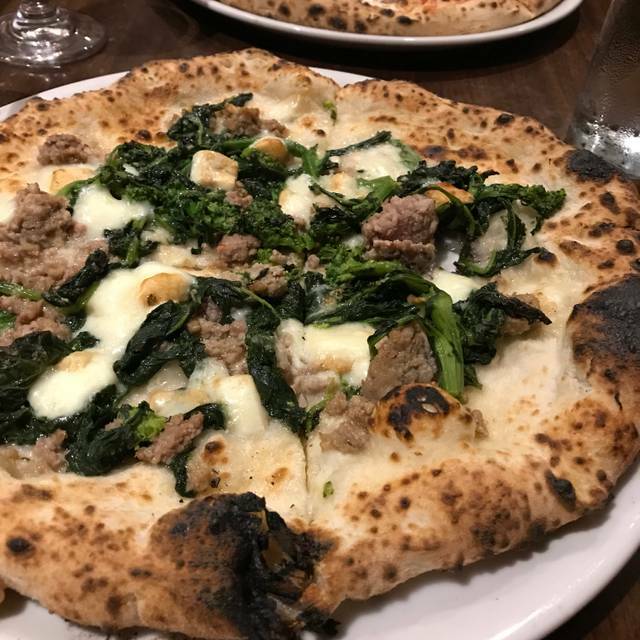 We frequent Verde when we are looking for absolutely fantastic pizza, excellent cheese, or good cocktails and wine. Highly recommend eating in for the great atmosphere. Came to celebrate half-off pizza night and recent wedding date decision! Perfect dinner.